Without K2, D3 absorption is not optimal. K2 is essential for bone health. Almost everyone has heard the benefits of Vitamin D3. 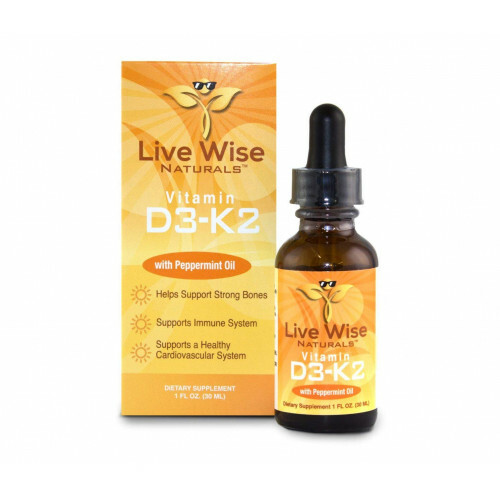 Without Vitamin K2, D3 does not absorb as well in our bodies. K2 directs calcium to our bones. 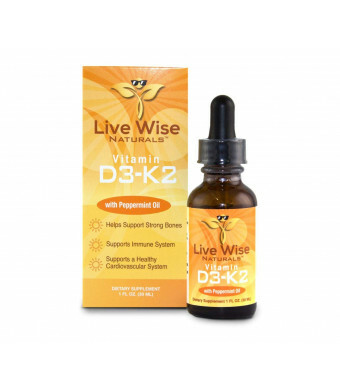 Recent studies conclude that taking D3 together with K2 is the perfect combination. Studies also show that we are deficient in both Vitamin D3 and K2. As a lifelong health and fitness nut always looking for organic, naturally sourced foods and supplements, and not often finding them, I founded Live Wise Naturals to provide that very thing. These supplements are easily absorbed and used by our bodies, environmentally sustainable without all the crap. There will never be anything synthetic or lab derived in any of our products.